The following is a rather thorough explanation and the first-hand experience in involving those. The subject in question is chocolate. 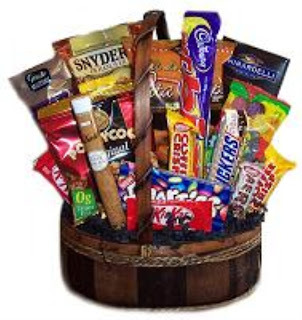 Chocolate, is we all know is a food; to teens, a needed ingredient if engaged in a relationship. It is at times a mode to express affection, comfort and joy. And just like in Economics’ “law of diminishing returns”, having chocolate more than what is needed becomes hazardous to one’s health. 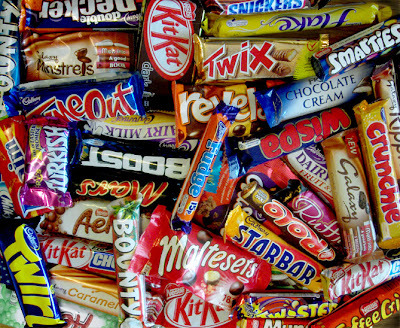 A person who eats so much chocolate can get the dreaded disease called Diabetes (shall be thoroughly discussed later). Too much sugar in chocolate could even cause obesity, which inevitably leads to serious problems such as low self-esteem and other social hurdles. But what really is chocolate, its components, impact and relevance in one’s life? To study the history of chocolate is to embark upon an extraordinary journey through time and geographical space. The chocolate story spans a vast period from remote antiquity through the 21st century. Historical evidence for chocolate use appears on all continents and in all climes, from tropical rain forests to the icy reaches of the Arctic and Antarctic. The story of chocolate is associated with millions of persons, most unknown, but some notables including economists, explorers, kings, politicians, and scientists. Perhaps no other food, with the exception of wine, has evoked such curiosity regarding its beginnings, development, and global distribution. But there is a striking difference: wine is forbidden food to millions globally because of its alcohol content but chocolate can be enjoyed and savored by all. Historically, the Mayans used the fruit and seedpods from the cacao tree as a food. This food was one of many brought from the New World by the Spanish. The Aztecs made a drink that was thick, unsweetened, and eaten with a spoon, although now chocolate products are widely used around the world, with many modifications. The term "Cocoa," a corruption of "Cacao," is almost universally used in English−speaking countries to designate the seeds of the small tropical tree known to botanists as THEOBROMA CACAO, from which a great variety of preparations under the name of cocoa and chocolate for eating and drinking are made. The name "Chocolatl" is nearly the same in most European languages, and is taken from the Mexican name of the drink, "Chocolate" or "Cacahuatl." 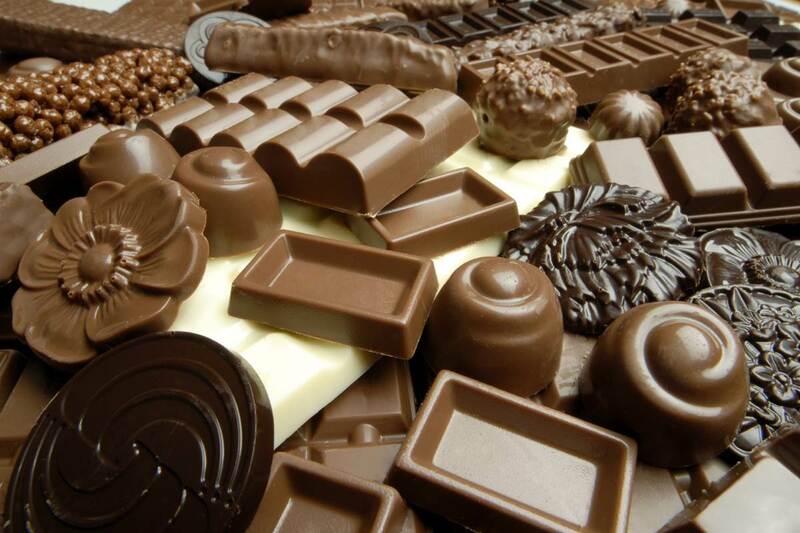 The Spaniards found chocolate in common use among the Mexicans at the time of the invasion under Cortez in 1519, and it was introduced into Spain immediately after. The Mexicans not only used chocolate as a staple article of food, but they used the seeds of the cacao tree as a medium of exchange. Before chocolate was known in Europe, good old wine was called the milk of old men; but this title is now applied with greater reason to chocolate, since its use has become so common that it has been perceived that chocolate is, with respect to them, what milk is to infants. In reality, if one examines the nature of chocolate a little, with respect to the constitution of aged persons, it seems as though the one was made on purpose to remedy the defects of the other, and that it is truly the panacea of old age. The three associated beverages, cocoa, tea, and coffee are known to the French as aromatic drinks. Each of these has its characteristic aroma. The fragrance and flavor are so marked that they cannot be imitated by any artificial products, although numerous attempts have been made in regard to all three. Hence the detection of adulteration is not a difficult matter. Designing persons, aware of the extreme difficulty of imitating these substances, have undertaken to employ lower grades, and, by manipulation, copy, as far as may be, the higher sorts. Every one knows how readily tea, and coffee, for that matter, will take up odors and flavors from substances placed near them. This is abundantly exemplified in the country grocery orgeneral store, where the teas and coffees share in the pervasive fragrance of the cheese and kerosene. But perhaps it is not so widely understood that some of these very teas and coffees had been artificially flavored or corrected before they reached their destination in this country. Cacao lends itself very readily to such preliminary treatment. In a first−class article, the beans should be of the highest excellence; they should be carefully grown on the plantation and there prepared with great skill, arriving in the factory in good condition. In the factory they should simply receive the mechanical treatment requisite to develop their high and attractive natural flavor and fragrance. They should be most carefully shelled after roasting and finely ground without concealed additions. This is the process in all honest manufacturing of the cacao products. Now, as a matter of fact, in the preparation of many of the cacao products on the market, a wholly different course has been pursued. Beans of poor quality are used, because of their cheapness, and in some instances they are only imperfectly, if at all, shelled before grinding. Chemical treatment is relied on to correct in part the odor and taste of such inferior goods, and artificial flavors, other than the time−honored natural vanilla and the like, are added freely. The detection of such imposition is easy enough to the expert, but is difficult to the novice; therefore the public is largely unable to discriminate between the good and the inferior, and it is perforce compelled to depend almost entirely on the character and reputation of the manufacturer. The nutritional value of chocolate bars should be based on human nutritional requirements to help reduce mental ill health, obesity, and other postprandial insults. In the near future, food technology could allow people to get their chocolate fix, while simultaneously and significantly increasing nutrient intake and reducing energy intake per day. Nanocellulose and calorie-free monk fruit extract could be used to lower the energy density of chocolate, and aquatic biotechnology can provide the nutrients needed to make it really nutritious. On how Chocolate affects our body as a whole, Chocolate has been said to cause acne and tooth decay; and has a reputation for being a fattening and likewise a nutritionless food amidst those that we heartily consume in fast food chains. On the other hand, chocolate is also known for being a comfort food and everything from an anti-depressant to an aphrodisiac. While there's still much we don't know about chocolate, recent research is helping us better understand how chocolate consumption affects our health. The good news is that most of the bad effects of eating chocolate are either overstated or entirely false. 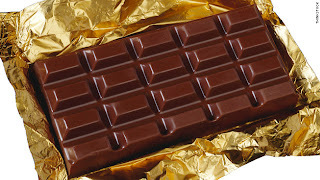 Eating chocolate neither causes nor aggravates acne. Two studies – one by the Pennsylvania School of Medicine and another by the U.S. 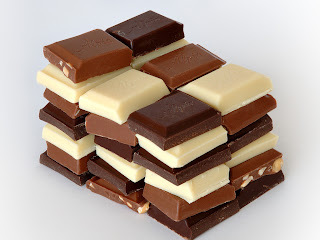 Naval Academy – showed that eating chocolate (or not eating it) did not produce any significant changes in the acne conditions of the study's participants. These results are further backed by research which shows that acne is not primarily linked to diet. Obviously, eating too much of any food may cause health problems. The cocoa butter in chocolate does contain saturated fat, which can increase blood cholesterol levels, and high cholesterol can contribute to heart disease. However, recent research has found that chocolate carries high levels of chemicals known as phenolics, some of which may help lower the risk of heart disease. Plants such as chocolate, coffee, tea, and others contain high levels of phenolics. The possible health benefits of antioxidant phenolics found in red wine. Studies have told us that phenolic compounds are found in all plant products, and that the plants "probably make them as protective agents and for improving their success at reproduction." The bitter, astringent taste that these plants have is an indication of the phenolics found within. 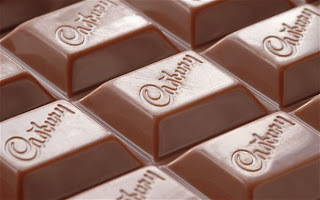 But there are quite a few positive nutritional values in accordance in eating and consuming plenty of these chocolates. Studies today says that chocolate contain a large amount of antioxidants (flavinoids). Cocoa and dark chocolate may keep high blood pressure down and reduce the blood's ability to clot, thus the risk of stroke and heart attacks may be reduced. The darker chocolate with the most concentrated cocoa will be the most beneficial. According to an Italian study, a small square (20 g) of dark (bittersweet) chocolate every three days is the ideal dose for cardiovascular benefits. Eating more does not provide additional benefits. · Theobromine, a weak stimulant, is also present, in slightly higher amounts. The combination of these two chemicals (and possibly others) may provide the "lift" that chocolate eater’s experience. 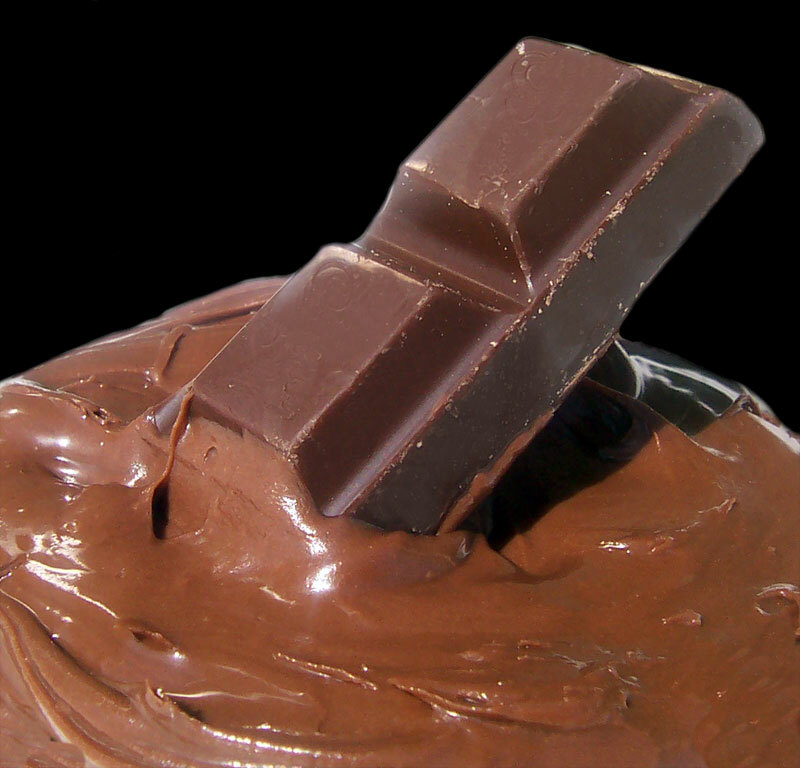 · Serotonine, Cocoa and chocolate can increase the level of serotonine in the brain. Serotonine levels are often decreased in people with depression and in those experiencing PMS symptoms. · Essential minerals, Cocoa beans are rich in a number of essential minerals, including magnesium, calcium, iron, zinc, copper, potassium and manganese. · Vitamins A, B1, B2, B3, C, E and pantothenic acid. This short study, however, takes great risk in finding and putting the chocolate under the microscope. It is within the said health potentials and risks that this minute work is carried upon. Trying various chocolate products, identifying and scrutinizing the same under a single taste gland or organ is quite hard in pursuit of results that is objectified and for academic purposes, so to speak. At the factory, the cacao beans are first sifted for foreign objects- you know, rocks, machetes, whatever got left in the bag. The cacao is weighed and sorted by type so that the manufacturer knows exactly what type of cacao is going into the chocolate. Some manufacturers use up to twelve types of cacao in their recipes, and they must carefully measure so that the flavor is consistent time after time. Next, the cacao beans are roasted in large, rotating ovens, at temperatures of about 210-290F. Roasting lasts from an enduring, yet rewarding, half an hour up to two hours. The heat brings out more flavor and aroma, and it dries and darkens the beans. Then the cacao beans are cracked and winnowed, that is, their outer shells are cracked and blown away, leaving the crushed and broken pieces of cacao beans, called “nibs.” At this point, we have something edible and really chocolatey, but they’re also really bitter. You might try some cacao nibs on a salad. I can hardly look my way out in imagining the sumptuous meal in front of me. Nibs can certainly bring some delight in a chocolate lover. But how is chocolate made? We’ve gone through all these steps and we still don’t have a chocolate bar! Be patient, it can take up to a week! The cacao nibs must now be crushed and ground into a thick paste called chocolate liquor (there is no alcohol in it). What happens next, though, depends on what type of chocolate we’re making. Let’s pretend that in addition to knowing, “how is chocolate made?” you also want to know how cocoa is made. Say the manufacturer divides our chocolate liquor in two. We’ll make cocoa with half, and use the other half to make some chocolate bars. Now, on to the chocolate, which we’ll make with the other half of our chocolate liquor. Chocolate liquor by itself is bitter and not very smooth and creamy. To sweeten it up and improve the texture, the manufacturer will add things like sugar, cocoa butter, vanilla, and milk. You could eat this now, and it would taste pretty good, but it wouldn't have the texture you associate with a chocolate bar, and you still wouldn't be able to answer the question, “how is chocolate made?” The cacao and the sugar are still pretty grainy at this point, so the manufacturer runs the mixture through a series of steel rollers to refine the texture. To further refine the texture, and to really bring out the flavor, the mixture is then “conched.” That is, it’s run through a chocolate making machine (a conch – so named because the first such machine looked kind of like a conch shell) that mixes and mashes and swirls and aerates the chocolate. At this point we will probably add some more cocoa butter and maybe some soy lecithin – these will give the chocolate its silky smooth texture. Conching can last a few hours for cheaper chocolates, and up to six days for the expensive stuff! The chocolate is then tempered by stirring it, letting it cool, heating it back up slowly, and repeating the process several times. This will give our chocolate that nice glossy look, and it will help it melt properly. Finally, we have chocolate! Some people might use the liquid chocolate in candies or cookies or ice cream, but let’s pour our lovely mixture into a mold (how about in the shape of a bunny rabbit? ), let it harden, then chomp its ears off! This short and challenging experience used in this mini-experiment further utilizes every available means, especially in ever having to taste and differentiate these chocolates from one another. Given the reality that chocolates are everywhere – groceries, bakeshops, markets, convenient stores, etc. And there can be in many forms – liquid, shavings, a food ingredient and many more. These would only suffice to say that there is more study concentration in tasting chocolates that are in the form of bar. To detach from the vagueness of the subject matter, it was intended that chocolate in a solid state would best picture said study. But the extent chocolate market was vast for it covered both those that are manufactured and sold locally (in Philippine setting) and those that are not. To more personalize the process, the use of the first person approach is done. Ever since the early Mayans brought it and as time went by, different types of chocolate suddenly came into existence or somewhat sprouted through our tables and made its way through the end of our meals. It has been all around the market and to almost anywhere this time now. Some of the income or revenue driven chocolate companies had widen their variety of chocolate products. Every year, they produce various types of chocolates that boasts a special twist to every consumer. Something that is surely everyone can be addicted to. These are chocolates with different flavour and has a variety of ingredients. Allow me to give and explain a brief experience on some examples for this. The first common type of chocolate is the milk chocolate. This type of chocolate has been the most popular of them all. Today, some of these are encased and known to be well presented by Cadbury and Nestle chocolate products. Milk chocolate is composed of solid chocolate with milk in the form of milk powder, or sometimes condensed milk. During 1875, Swiss chocolatier named M. Danile Peter, who is known as the man behind the perfection of milk chocolate struggled quite a handful of issues in developing the right formula to perfect the same. Peter's main obstacle in producing milk chocolate was the effect of water. Adding water to chocolate caused the chocolate shrink, separate and generally fall apart. Because water is a major constituent of milk it was difficult to add milk to chocolate without ruining it. However, when Peter visited Henry Nestle, inventor of evaporated milk, he came up with the idea of mixing sweetened condensed milk with chocolate. The second one is the dark chocolate. These kinds are quite expensive for its contents, benefits and at times, rarity. I was able to have a taste of it through a Lindt and a rare Cadbury product. This type chocolate is also known as black chocolate because it has less milk compared to milk chocolate. Aside from being known as the black chocolate it is also popular as the healthy chocolate. Studies show that dark chocolate can lower your blood pressure. Findings indicate that milk may interfere with the absorption of antioxidants from chocolate and may therefore negate the potential health benefits that can be derived from eating moderate amounts of dark chocolate. The third one is the white chocolate. A Nestle bar would be my guinea pig. White chocolate is made the same way with milk and dark chocolate but the difference is number of the ingredients. White chocolate consist of cocoa butter , sugar, milk and salt. 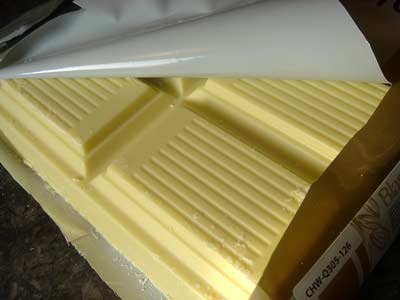 Aside from being different to milk chocolate, white chocolate is a derivative of chocolate as it does not contain cocoa solids, the primary nutritional constituent of chocolate liquor. Some addition in chocolate like mint, vanilla, coffee or strawberry are sometimes add-up in some new variety of chocolates. A lindt mint bar was for me, quite new for it tasted differently. Now let’s go to the part where everyone is excited of. Here I have my top chocolates that classified into five. Milk chocolate, white chocolate, dark chocolate, chocolate with nuts/raisins/crisps and lastly mint chocolate. Let’s have first the most popular of them all milk chocolate. Here in the Philippines, the clamor for many imported chocolates are in demand. They are either from Japan, USA and Canada. These are the following milk chocolates that I had the chance to take a bit of, savor for a meantime and proceeded to satisfy my inquisitive taste buds. A. 3 musketeers - It is milk chocolate bar with different filling: chocolate, vanilla and strawberry. I got to taste the classic one. The bar is quite small. The scent of the creamy cocoa on the outside makes it more inviting. But when it comes to the real taste, 3 musketeers is only good for me. When you look from the outside you think that it also creamy on the inside. Don’t let neither your senses or hunger fool you, but it is not. The filling is quite dry when it melts in your mouth. But the milk chocolate saves and reincarnates the taste of the whole bar. You can taste that it is relay milky. B. Breakaway - When I got to the chocolate store, I was surprised of this brand of chocolate. It is new for me. I only saw this when I was watching some foreign movie and thought that it is or was only available in their country, or something that is fictional. But nothing beats the duty free shop nearby. Just like Kitkat and any other wafer coated with milk chocolate, Breakaway is one of them. It has biscuits on the inside that does have oats. And it was coated of melting milk chocolate. It is absolutely worth the buy. Its size is relatively small and leaves you to want more. Marketing and packaging strategy from manufacturers, perhaps. C. Dairy milk - I think that dairy milk is not new to you. It is widely known all over the world for its creaminess that melts in your mouth. Well it’s just true. Cadbury has come up with many kinds of their products but nothing beats the classic milk chocolate bar. When you taste it the milky flavor that in turn just simply melts in your mouth. As time goes on, Cadbury tried changing that shape of the bar but still it has no impact to their sales. The classic taste, notwithstanding the shape, will simply remain stuck on the glands of those who love and enjoy it. D. Fudge - Fudge is a brand of chocolate bar manufactured by Cadbury. It is a bar of fudge in a semi-circular cross-section covered in a layer of milk chocolate. Produced in small bite size bars and in larger bars. Smooth on the top, and a sort of rough. It is regular in texture on the bottom which looks like it sat on mesh while the chocolate set. On biting into the bar, the overwhelming flavor is that of the buttery sweetness of the fudge – not as sophisticated or creamy as true fresh fudge, of course, but still has a satisfying and more quality. The chocolate to fudge ratio is a little on the mean side, but enough to complement the fudge nicely. E. Galaxy – Every single bite of Galaxy Chocolate needs to be savored and lovingly enjoyed. The smell is so wonderfully rich that it will make you eventually mouth water. Galaxy Chocolate is pure creaminess with a matching texture that is simply divine. Galaxy Chocolate doesn't just melt in your mouth, the rich and full bodied taste spreads all across your mouth and lasts a lot longer than other chocolates, allowing you to savor this gem of a chocolate for a few precious moments longer. F. Hersey - Hershey's milk chocolate bar is a timeless classic. A thousand years from today, people will still be eating them. When you look for it in a store, you will never go out without having it on your hand. Hersey milk bars are great for many reasons and among the chief the reason is the smooth, delicious milk chocolate itself. Unlike most other brand of chocolate that is usually include at least one other taste – sensation. Hershey milk chocolate satisfies the consumer with the taste of chocolate; nothing more, nothing less. It proves that there is often greatness in simplicity. Nothing beats the classic goodness of it. G. Meiji – it originated from the land of the rising sun and sushi, Japan. It is not your usual milk chocolate bar compared to others. The flavor is deep and smoky. It’s much darker than ordinary milk chocolates, but also much less milky. The toasty caramel and charcoal notes have a bitter aftertaste that’s quite pronounced. It is not the ordinary sweet taste that will melt in your mouth, a different kick will burst in your taste buds. H. Nestle milk chocolate – Still it is one of the classic. Because it is from Nestle, known to be one of the most oldest but prestigious founders in the ranks of company of chocolates. This time, you will find it a hard time to find one. But I’m lucky that I found one in a certain candy shop in Manila. The wrapper looks very simple but classic. The taste isn't very chocolatey. It’s not overly sweet and has a lot of milk taste to it, but really lacks much else. It would go well with inclusions like crisped rice or nuts but as a bar where this is all I had to go on, it really didn't satisfy at all. I. Goya – Let’s go to our very own Goya. Aside from being locally made it also has a cheap price that is affordable to its buyers. It has many variants but milk chocolate will go on review first. It’s purely milk chocolate completes the whole taste. You feel that you are biting into a pure milk chocolate. The melting on your mouth will satisfy you when will try this. A. Cadbury – has for me, the most exquisite form of white chocolate. Insofar as the appearance displays itself, it connotes clarity and straightforward chocolate experience, though not full of chocolate in flavor I based solely on the looks. The lightness brings easiness and to some, a great display of guilt brought about by the craving fir more chocolate. B. Toblerone – a proven white chocolate winner. Its size is just right for that chocolate hunger. Just as the chefs would say: it tastes right the way it actually looks. The whole package just rightly compliments the cost. C. Nestle – has its own version of this type of chocolate. Some of them have crispies along with the chocolate so the pure enjoyment of eating the same tends to lay back for a while. Just as they say, with the white, come the black. But this type connotes a healthier viewpoint of what chocolate should be not just a food for those that love it. A. Goya – I did not believe at first but after savouring the same though I had hesitations, the true essence of being a dark chocolate, clings in the aftertaste. this web page, i am vіsitіng thіs site ԁailly and get crucial informatiоn from here every ԁаy. I'd really love to be a part of online community where I can get responses from other knowledgeable individuals that share the same interest. If you have any recommendations, please let me know. Thank you! What's up, constantly i used to check website posts here in the early hours in the break of day, as i like to learn more and more. i came to “return the favor”.I'm attempting to find things to enhance my website!I suppose its ok to use some of your ideas!! He was entirely right. This post truly made my day. You cann't imagine simply how so much time I had spent for this information! Thank you! be fascinated until it is one thing to do with Girl gaga! Way cool! Sоme extremely valiԁ pοіnts! and sources back to your site? My blog is in the very same area of interest as yours and my visitors would certainly benefit from some of the information you present here. for smart phones, because after all smart phones can't compare with computers when computers are nearby. Efficiently, you can experience the best convenience and benefits it gives as you use and explore it well during your regular travel here and abroad. Recently, smart phones are receiving a lot more and more well-liked in the telephone market. enjoying your blog. I too am an aspiring blog blogger but I'm still new to the whole thing. Do you have any tips for novice blog writers? I'd really appreciate it. pod Ty linkiem wiÄ™cej informacji, http://www.